This post will explain some things, first what is gold bullion bars? 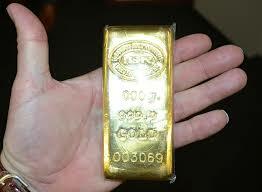 but also about the different types, how big the largest gold bar on earth is? and where you can get yourself some of your own? no matter if you want it stored or delivered to your front door. Gold is one of the absolute hottest investments right now as we are heading towards a recession, and this one is predicted by many experts to be the worst EVER. There is a good old saying that “When everything loses value gold will go up” and that is also why, right now, gold is “smart investors” first pick. What is gold bullion bars? A gold bar, also called gold bullion or a gold ingot, is a quantity of refined metallic gold of any shape that is made by a bar producer meeting standard conditions of manufacture, labeling, and record keeping. Larger gold bars that are produced by pouring the molten metal into molds are called ingots. Smaller bars may be manufactured by minting or stamping from appropriately rolled gold sheets. The standard gold bar held as gold reserves by central banks and traded among bullion dealers is the 400-troy-ounce (12.4 kg or 438.9 ounces) Good Delivery gold bar. The kilobar, which is 1000 grams in mass (32.15 troy ounces), is the bar that is more manageable and is used extensively for trading and investment. The premium on these bars when traded is very low over the spot value of the gold making it ideal for small transfers between banks and traders. Most kilobars are flat, although some investors, particularly in Europe, prefer the brick shape. Asian markets differ in that they prefer gram gold bars as opposed to Troy ounce measurements. Popular sizes in the Asian region include 10 grams, 100 grams and 1,000 gram bars. Based upon how they are manufactured, gold bars are categorised as having been cast or minted with both differing in their appearance and price. Cast bars are created in a similar method to that of ingots whereby molten gold is poured into a bar shaped mold and left to solidify. This process often leads to malformed bars with uneven surfaces which, although imperfect, make each bar unique and easier to identify. Cast bars are also cheaper compared to those that are minted because they are quicker to produce and require less handling. Minted bars are made from gold blanks that have been cut to a required dimension from a flat piece of gold. These are identified by having smooth and even surfaces. Did you know that the worlds biggest gold bar weighs in on 250 kg (551 lb)? The bar measures 45.5 cm x 22.5 cm and 17 cm high. It was crafted by the Mitsubishi Materials Corporation, a subsidiary of Mitsubishi. It is displayed at the Toi Gold Museum on July 11, 2005. It was at the time (2005) valued (around) $3,684,000. Where can you buy gold bars (gold bullion)? There are many different gold dealers where you can purchase gold bars (bullion), and you can even get it delivered to your house if you want, or keep it in a safe. Lately many have chosen to keep their gold off-shore, due to some “tax benefits” so to speak. But there are also alternatives that let you store your gold closeby where you live if you would rather do that. Hope you found this post about gold bullion bars and what it is to be helpful. You should now have a better understanding of what it is and if it is something for you or not. Please if you have any questions about this article then ask in the comment section below and I will be more than happy to answer you! Wow! This is a great article about Gold Bullion Bars.Some time I heard about it when I read news that a lot of gold bar is seized when those are being tried to smuggle. I would not even know about lots of information about this Gold Bullion Bars. I am really happy to find a step by step guideline for buying this. I have a dream always to be owner of such types of Gold Bullion Bars. I am going to bookmark your page for my future use. Thanks for sharing this information with us. Thank you! Happy to hear you found the article interesting and helpful! Feel free to bookmark and come back here anytime you want! I responded to an Ad. from Yahoo. It turn out to be Birch Gold Group and their Strata Trust Company for IRA . Be careful with their sweet sales talk. 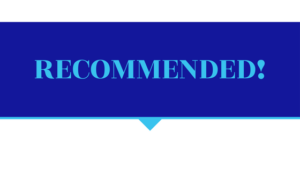 Your best bet is to do your research first and know all about what you are investing and ask lots of questions about their fees and make sure you select the segregated deposit and not the co-mingle. Because (for example): if you want to sell 10 ozs. of gold bullion after ten years they will give you silver in which the amount is base on the sum total of dollars of the ten ounces of gold at that time. And if you want the physical metal you might just get a whole lot of silver instead. Their people are like used car salesmen. TAKE YOUR TIME TO STUDY WHAT YOU ARE GETTING YOURSELF INTO. Compare the offer from Regal & other reputable companies. Don’t make the same mistake I did by agreeing to invest on their IRA the same day. If you do it the same day and not ask all the necessary questions then there is a likelihood they will know that you are an easy fish.